For those souls seeking true holiness and called to obtaining a perfect union with Jesus Christ Our Lord, in the humble opinion of this writer (an ordinary layman who has nevertheless been consecrated to Jesus Through Mary for over 25 years)there is no better decision that one can make for their eternal salvation than Total Consecration to Jesus through Mary. Saint Louis Marie De Montfort outlines a perfect means of doing this in his excellent works inspired by the Holy Ghost "Secret of Mary" and "True devotion to Mary" which includes exterior and interior spiritual exercises and a preparation for Total consecration. Motivated by the greatest of intentions, he wanted to guard this secret with a holy jealousy, that it should only be given to worthy souls who deserve it by their prayers, their alms-deeds and mortifications, by the persecutions they suffer and by their detachment from the world and their zeal for the salvation of souls. It is with this same spirit therefore, that we should approach the holy slavery and communicate it only to the most worthy of souls. Sinners that we are, let us fly to the refuge of Mary where our souls can find shelter and be endowed with an ever flowing fountain of grace. It may also be appropriate to add that without Total Consecration to Jesus through Mary it will be very difficult if not impossible to survive the assaults of the enemy during these grave times of Apostasy. Let us remember the beautiful words of Saint Bernard and lose no time as Blessed De Montfort suggests" in giving ourselves entirely and as a slave to Mary, and to Jesus through Mary; and after that to do all that we do, through Mary, with Mary, in Mary and for Mary." when she favours you, you will arrive safely. There are several true devotions to Our Lady; here I do not speak of those that are false. Devotion without special practices - The first consists in fulfilling our Christian duties, avoiding mortal sin, acting more out of love than fear, praying to Our Lady now and then, honouring her as the Mother of God, yet without having any special devotion to her. Devotion with special practices - The second consists in entertaining for Our Lady more perfect feelings of esteem and love, of confidence and veneration. It leads us to join the Confraternities of the Holy Rosary and of the Scapular, to recite the five decades or the fifteen decades of the Rosary, to honour Mary's images and altars, to publish her praises and to enrol ourselves in her sodalities. This devotion is good, holy and praiseworthy if we keep ourselves free from sin; but it is not so perfect as the next, nor so efficient in severing our soul from creatures or in detaching us from ourselves, in order to be united with Jesus Christ. "Let us not imagine, then, as some do who are misled by erroneous teachings, that Mary, being a creature, is a hindrance to our union with the Creator. It is no longer Mary who lives, it is Jesus Christ, it is God alone who lives in her. Her transformation into God surpasses that of St Paul and of the other saints more than the heavens surpass the earth by their height. Mary is made for God alone, and far from ever detaining a soul in herself, she casts the soul upon God and unites it with him so much the more perfectly as the soul is more perfectly united to her. Mary is the admirable echo of God. When we say "Mary" she answers "God". When with St. Elizabeth we call her "Blessed" she glorifies God. 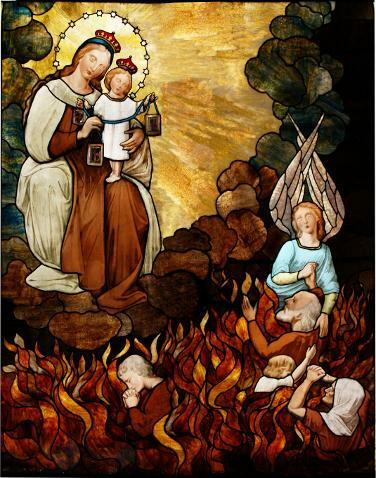 If the falsely enlightened, whom the devil has so miserably illusioned, even in prayer, had known how to find Mary, and through her how to find Jesus, and through Jesus God the Father, they would not have had such terrible falls. The saints tell us that when we have once found Mary, and through Mary, Jesus, and through Jesus, God the Father, we have found all good. He who says all, excepts nothing: all grace and all friendship with God, all safety from God's enemies, all truth to crush falsehoods, all facility to overcome difficulties in the way of salvation, all comfort and all joy amidst the bitterness of life." Sinners, that we are, Let us waste no time therefore in giving ourselves completely to Jesus through Mary by preparing for Total Consecration using the method as defined by Saint Louis Marie De Montfort. First Week - Knowledge of self. "At the end of the three weeks they shall go to confession and to Communion, with the intention of giving themselves to Jesus Christ in the quality of slaves of love, by the hands of Mary. After Communion....they should recite the formula of their consecration. "I AM ALL THINE MY DEAR MOTHER AND ALL THAT I HAVE IS THINE" or alternatively"I AM THINE AND ALL THAT I HAVE IS THINE O MOST LOVING JESUS THROUGH MARY THY MOST HOLY MOTHER" or some other similar formula. Perform all our actions With Mary, For Mary, Through Mary and In Mary. Ask every day for many graces, as Our Lady is "Our Treasure, House of the Lords graces" and wishes to bestow a share of Her riches on those who ask Her with humility and perseverance. 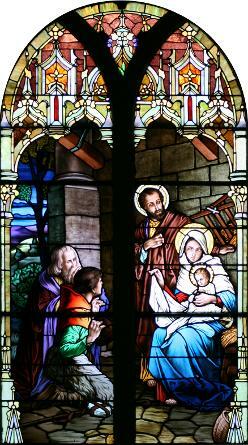 "Forget all else and see your good Mother alone, kindly watching over you, in order to unite you to Jesus, your King. Strive gently but effectively, with her and like her, to do always what would be more pleasing to Our Lord. Diligently avoid anything which could displease him. Avoid especially attachment to self or to perishable goods. Accept everything as coming through Mary's hands. Give nothing to God or man without confiding it to her virginal hands. In a word, try to breathe Mary as much as the body breathes the air, in order to attain the highest degree of union with Jesus"
This do and thou shalt live. In the opinion of this writer,Total Consecration to Jesus through Our Lady and the wearing of the Brown Scapular are inseparable. All Children of Mary should be clothed in this garment as a sign of our salvation and protection and our devotion and love towards our Blessed Mother. Words of Our Blessed Mother to Saint Dominic. Let us waste no time therefore in consecrating ourselves to Mary, the most resplendent Queen of Heaven by wearing her Brown Scapular.